Antonov State Enterprise has agreed with the United Arab Emirates to cooperate in the production of An-132 and An-70 aircraft, the press service of the Ukroboronprom State Concern has reported. In particular, Antonov State Enterprise entered into agreements with partners UAE from to supply components, organize cooperative production and train technical staff for the implementation of the final part of the An-132 program. An-132D is Antonov's first aircraft without Russian components. The next aircraft, which will be created in close international cooperation, is the upgraded An-70. Thanks to the agreements reached during an exhibition, it will receive new avionics and get rid of Russian parts. "Companies from the Kingdom of Saudi Arabia, the United Arab Emirates and Turkey stated their readiness to take part in the modernization of the aircraft," Ukroboronprom reported. 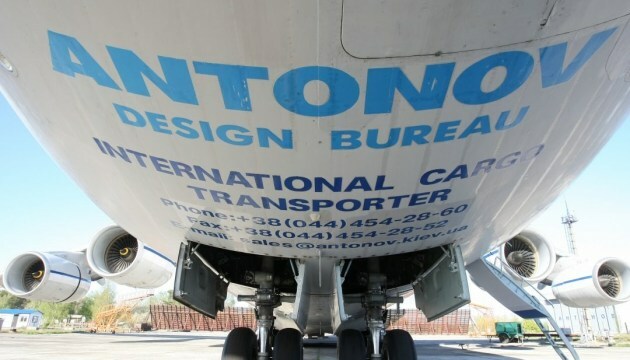 As reported, Antonov State Enterprise presented two transport planes at the Dubai Air Show - an An-132D aircraft and an An-70 short take-off and landing aircraft.